The song contest will be held for the first time in Tel Aviv with the participation of 42 countries under the slogan 'Dare To Dream'. At an official press conference held on April 15th, the Eurovision Song Contest 2019’s official events were presented, including the Orange Carpet event, which will be held at Habima Square overlooked by Israel’s historic Habima Theater in Tel Aviv on May 12th. Other announcements included the release of another wave of tickets which will go on sale April 16 at 6 PM, Israel local time. At the press conference, many of the Eurovision interval acts were announced. The interval acts will play a central role at each of the three performances of the Eurovision Song Contest. Yuval Cohen, TV and Show Producer, Deputy Executive Producer Eurovision Song Contest 2019 said, “After twenty years we are excited to hosted the world’s largest music competition, in which 41 unique songs from different countries around the world will take centre stage. A great deal of thought was invested in developing the line-up of the performances, with the aim of relating to the 200 million viewers watching across the globe and in the same breath bringing an Israeli experience to the screen”. 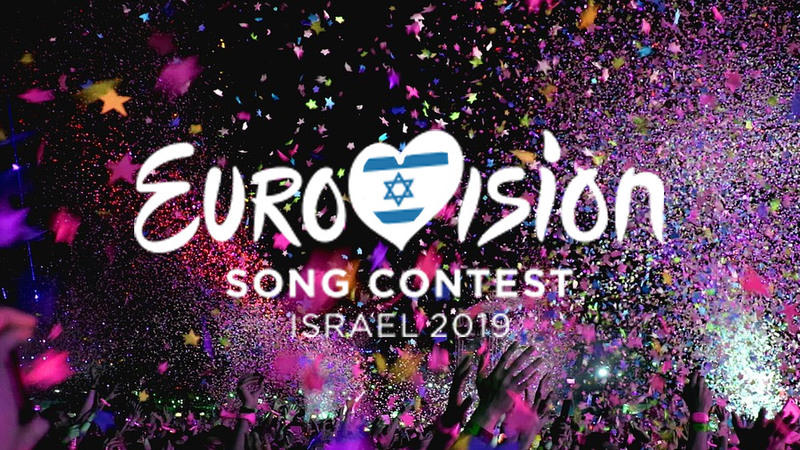 The First Semi-Final will take place on May 14th, the Second Semi-Final will take place on May 16th and the Final will be held on May 18th, under the direction of the four Israeli Eurovision Hosts: Erez Tal, Bar Refaeli, Assi Azar and Lucy Ayoub. For the first time, the final broadcast in Israel will begin at 21:40 with a special broadcast developed by Yardena Arazi, 40 years after she co-hosted the first Eurovision Song Contest held in Jerusalem on March 31st, 1979. • The 41 Eurovision Postcards – the artists representing each country flew to Israel to ‘Dare to Dance’ each in a different location in Israel. • The Idan Raichel Project will perform the song “Bo’ee – Come to Me” accompanied by 24 singers. • A glimpse of the multi-media video artist Kutiman, has redesigned the Eurovision Song-track. • Israel’s very own Wonder Woman, Gal Gadot, will show Tel Aviv and Israel as never before. • Shalva Band who taught us all a lesson in the power of a dream and the courage to realize it, will perform. • Past participants from various participating countries will also perform at the Eurovision Song Contest 2019 including, Conchita Wurst, Eleni Foureira, Verka Serduchka, Måns Zelmerlöw and Gali Atari winner of the Eurovision Song Contest 1979. • Winner of the 1998 Eurovision Song Contest, Dana International will also receive due respect and recognition and will appear in the Semi-Finals and Final. • Izhar Cohen, the first Israeli to bring the Eurovision Song Contest to Israel will give the score of the Israeli judging team (and will close all the judges’ votes). • And of course we will also have Netta Barzilai, who a year ago, in Lisbon, fulfilled her personal dream and that of all of us. Netta will perform with a world-premiere song and an unforgettable performance of “TOY”. The European Broadcasting Union (EBU) and KAN, the Israeli Public Broadcasting Corporation, announced today that the remaining tickets to the Eurovision Song Contest will open Tuesday at 18:00 Israel time in a final wave of ticket sales. All tickets will be available for purchase through Leaan’s official ticket website (link for purchasing tickets is here: https://bit.ly/2SZNBAt ). The European Broadcasting Union (EBU) cooperates with the Consumer Federation, Ticket Check. The federation’s logo on the website is the sign that this is the official ticket-buying site. The EBU and the KAN recommend buying tickets only from the official website. Further information and updates can be found on the Eurovision.tv website. Pavilion 2 contains 7,280 places for the public and 46 commentator booths. Eurovision 2019 will be broadcast by KAN, the Israeli Public Broadcasting Corporation, on 14, 16 and 18 May. The Eurovision Song Contest will be held for the 64th time and for the first time in Tel Aviv with the participation of 42 countries under the slogan ‘Dare To Dream’.